Have you ever wondered about advertising your business ? Have you ever looked into wrapping your vehicle ? Wrapping your vehicle has become the essential way to advertise your business. At Apple graphics our main goal is getting your business noticed ! Weather you decide to fully wraps your vehicle , or partially wraps your vehicle , were here to make your wrap effective. Thousands of people a day see your vehicle on the road , vehicle wraps have become the most sufficient way to advertise your business. We take pride in our craft , from design to installation. Wrapping your vehicle should be a fun processes, therefor we work closely with our clients here and make sure they are with us every step of the way. We are here to help your business reach its full advertisement potential. Utilizing your vehicle surfaces for advertisement has become key for getting more business. Our friends Ifixit Handyman ( Ifixith.com ) was interested in a full wrap on his for transit. With the logo he supplied us , we put together an ideal wrap for his ford transit. As you may know a full wrap is most effective , when wrapping your vehicle. 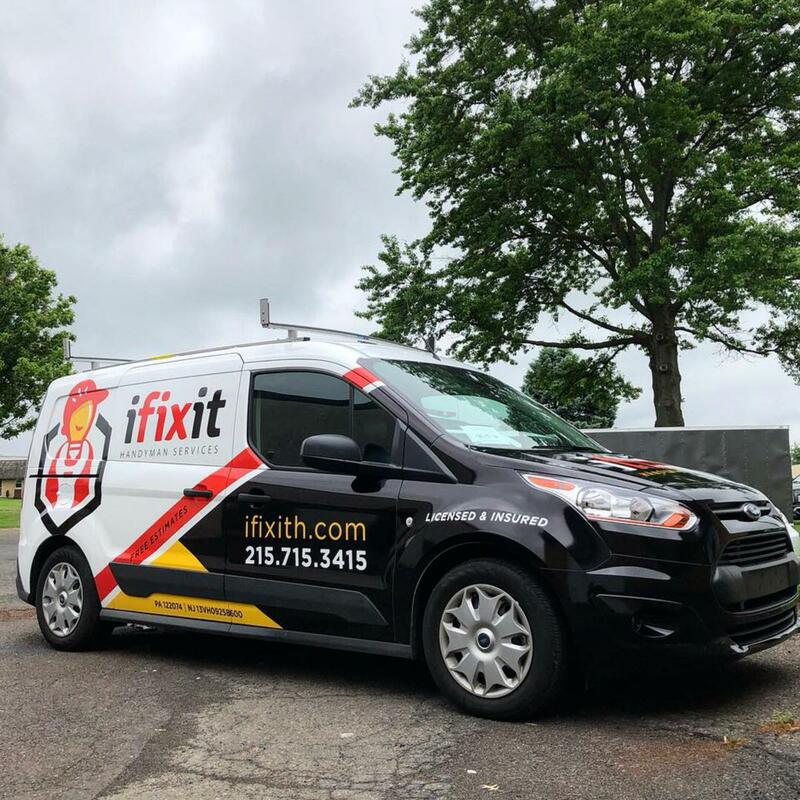 Ifixit utilized his ford transit as an advertisement opportunity , and couldn't be more happy with the results of his full wrap.